If you’ve ever wanted to know what it feels like to be a Princess, an adult Princess, you no longer have to wonder. 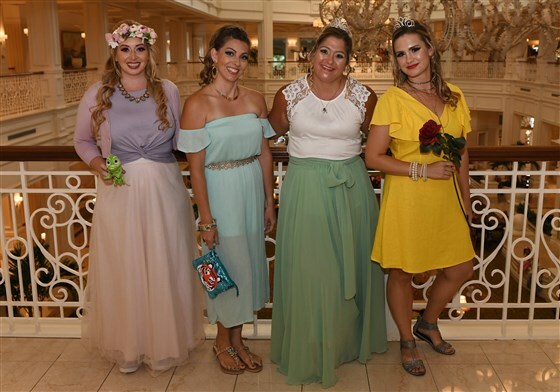 Disney World offers adult princess makeovers and it’s time to pack your bags (mine are already packed) and get there ASAP! 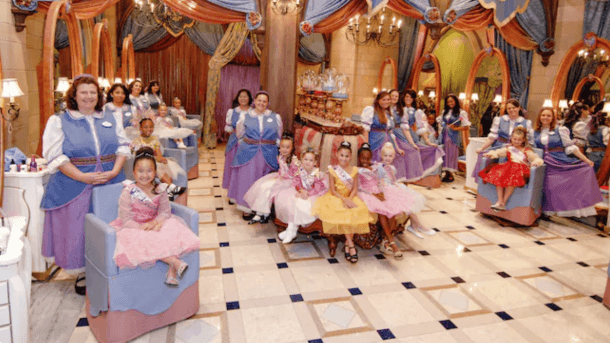 Bibbidi Bobbidi Boutique is where all the magical transformations for children take place and it has been traditionally available to little boys’ and girls’ ages 3-12. But now, they realize that adults want to be a princess for a day too, so they are expanding it to offer princess makeovers to adults for good! and can we say, FINALLY! The adult version of Bibbidi Bobbidi Boutique is called a ‘Character Couture Package‘. These packages were originally offered during times of Mickey’s Not So Scary Party within the parks. Ya know, around Halloween when everyone would dress up. However, Disney realized people wanted to dress up outside of Halloween time and decided to offer these packages year-round. The Character Couture Packages cost around $120 and includes hair, makeup and nail designs. The characters you can be transformed into include princesses, villains, fab five, “galactic” styles and even “hero/heroine” styles. If you want to get in on this fun princess makeover, you can call ahead and book your appointment by calling 407-939-7727.